Albert Garcia is a Certified Personal Trainer through the American College of Sports Medicine. In 2013, he completed his Bachelor of Science degree in Exercise Science from Shippensburg University of Pennsylvania. At SU, he also completed an internship in cardiac rehab. After graduation, he immediately began working as a personal trainer at a local gym in York, PA. This gym was also contracted with the Harley-Davidson York Plant, where Albert personal trained employees and lead group fitness classes. With some experience under his belt, Albert decided to advance his career by attending the University of Pittsburgh. In the Fall 2015, he graduated with his Master of Science degree in Wellness and Human Performance. While earning his degree, Albert was personal training full-time at Pivot Physical Therapy. He also completed an internship at Pitt as an Olympic Sport Strength and Conditioning Coach. 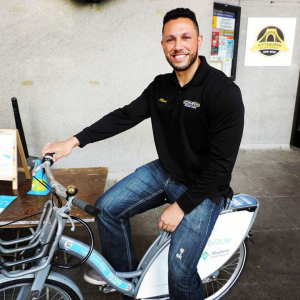 For the past two years Albert has worked for the City of Pittsburgh as the Head Wellness Guru of their employee wellness program, CityFit. Within his leadership role he has developed, managed, and implemented varies programs for City employees. These programs include personal training, smoking cessation, and health education classes. In Albert’s free time he enjoys playing basketball, baseball, lifting weights, and anything that is competitive. He also takes advantage of any opportunities to work with Pittsburgh’s youth programs, such as Project Run and EmpowerMeForLife. It’s the benefit of a receiving an expert workout program without the cost of hiring a personal trainer. Each progressive program is personalized to the clients goals, limitations, preferences, and equipment. What’s the benefit to online personal training? Each workout program is adjusted to your desired training location. It’s not just some exercises written on a piece of paper meant for you to decipher. You’ll receive a detailed step-by-step program with your preference of written instructions, pictures, and videos. It helps to improve personal accountability for your health. The electronic interaction creates an effective way to manage time. Workout when you want! Not just when your trainer is available. Who are the ideal clients? Individuals who just want to live a healthy lifestyle. Adults with physical limitations that aren’t sure what to do. Anyone struggling with weight management. Recreational weight lifters that need a fresh routine. Athletes ready to take it to the next level. Decide ‘Yes’ I’m ready for a change! Call/email the e-trainer to inquire about what he can do for you. Fill out initial questionnaire, par-q, and informed consent form. Complete personal assessment form if necessary. Wait patiently for your individualized program (Will receive within 48hrs). Follow program until goals are achieved! How much does online personal training cost? Plans: All plans include preferred instructions, pictures, and videos. Includes: Skin fold body fat %, circumferences, waist/hip ratio, blood pressure, and heart rate. Includes: Postural assessment, strength assessment, and/or cardio assessment. An option for individuals who would prefer their workout on an app. It provides illustrations of each exercise along with a timer. Sold on the google play store and apple store for $1.99. These are recommended Personal Trainers for individuals looking for that one-on-one experience. Each of these trainers are highly credentialed and experienced.